Well made poles that are lightweight and easy to use. The ergonomic cork handles feel great in the hand and I am looking forward to using them on many upcoming hikes. They are very light and always are with me as I hike, finding I need them all the time in California. The grips are comfortable on my hands and very easy to assemble and the quality doesn't disappoint. This was my first hike using 2 trekking poles and I seen a big difference. 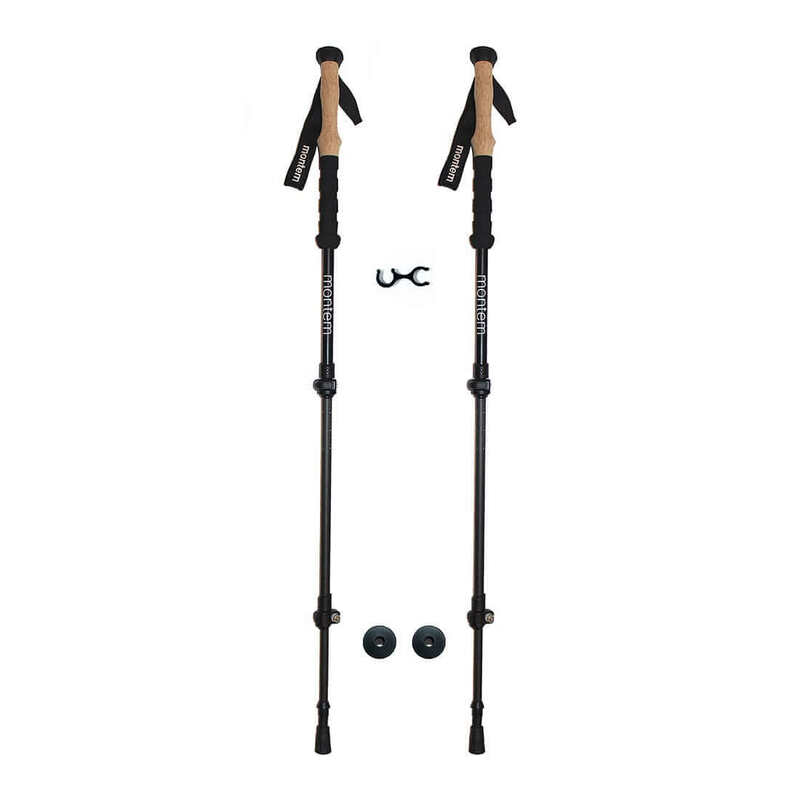 Overall the poles are great, very sturdy, light weight, easy of use. Very impressed so far!! Very light and the adjusters are solid and when locked support my 200 pounds. Used on just one hike and performed as promised. Grips are good size and well molded in cork. Loops are good size and adjustable for winter gloves and summer no gloves. Very good product at a great price. Hope they are as durable as they appear and will perform for many years. I am so happy with these poles. They are so much lighter to carry than my Leki poles, but there is no difference in performance. I hope you come out with more colors! I just got the chance to test out my new trekking poles on El Cajon Mtn a little while ago. They performed great and I was happy to have the adjustable length between uphill and downhill. Very lightweight and easy to collapse to put in my pack. Top notch! 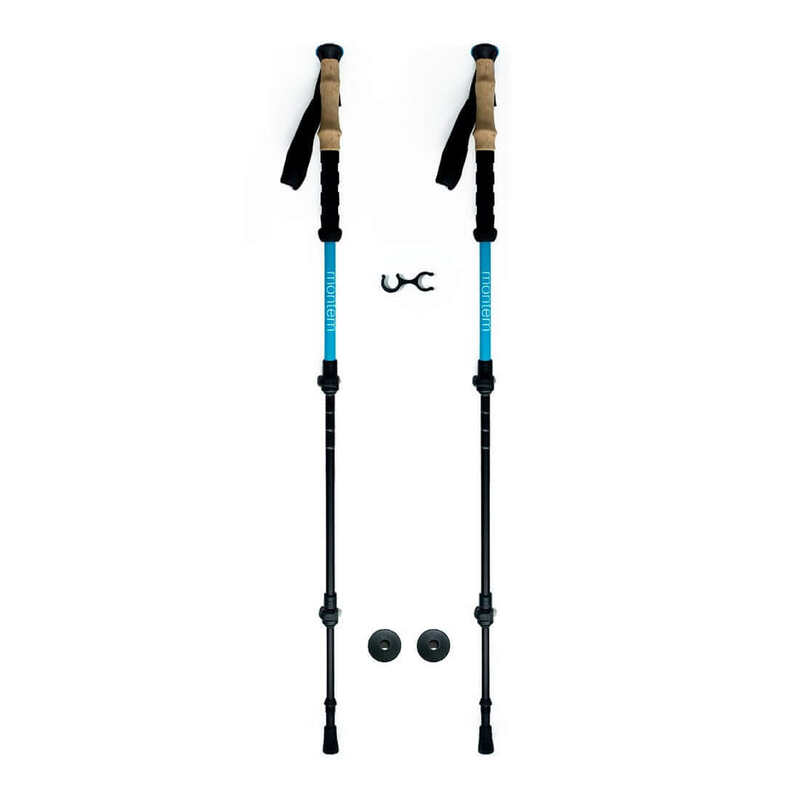 These trekking poles saved me from unnecessary strain, scraped knees from slipping, and twisted ankles from awkward weight placement. 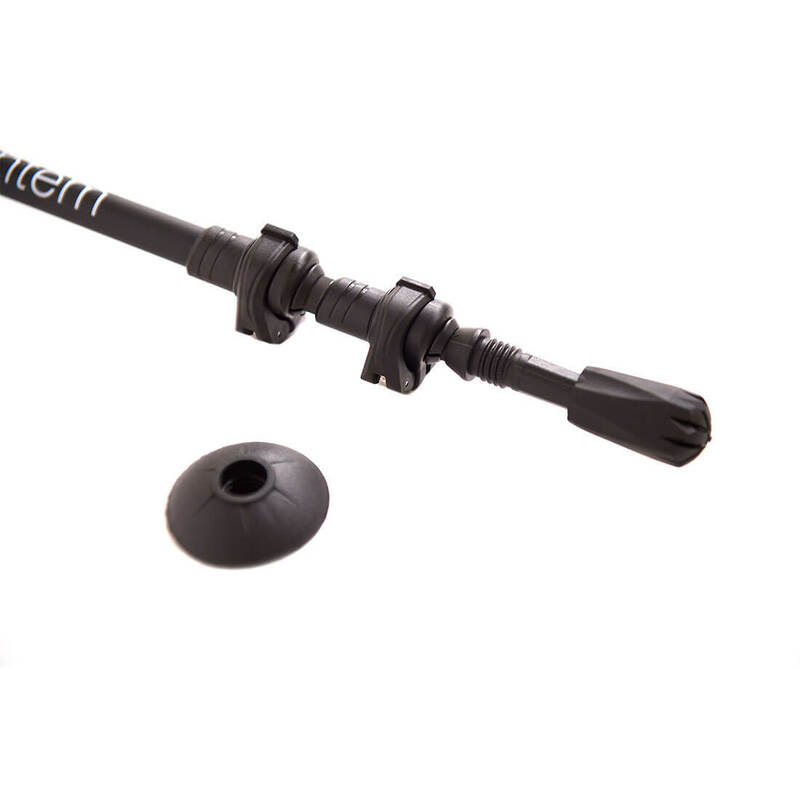 Have used a single Leki pole for years and wasn't sure if I wanted to try two or not. Found these poles. Not only are they a great price, they have a perfect five star rating! Nothing gets a perfect score! There's always some yahoo that doesn't like the color, the smell or something. But these are really fantastic! Combined they weigh just about the same as my old Leki. The cork grips are very comfortable. Much more so than the grip on my old pole. Highly recommend!